Its just few days ago we reported about the leaked live images of Nokia 9 which revealed its the rear panel design and showed as the penta-camera design (here). Now today there were two leaked images, which reveals the front display panel of two Nokia smartphones. 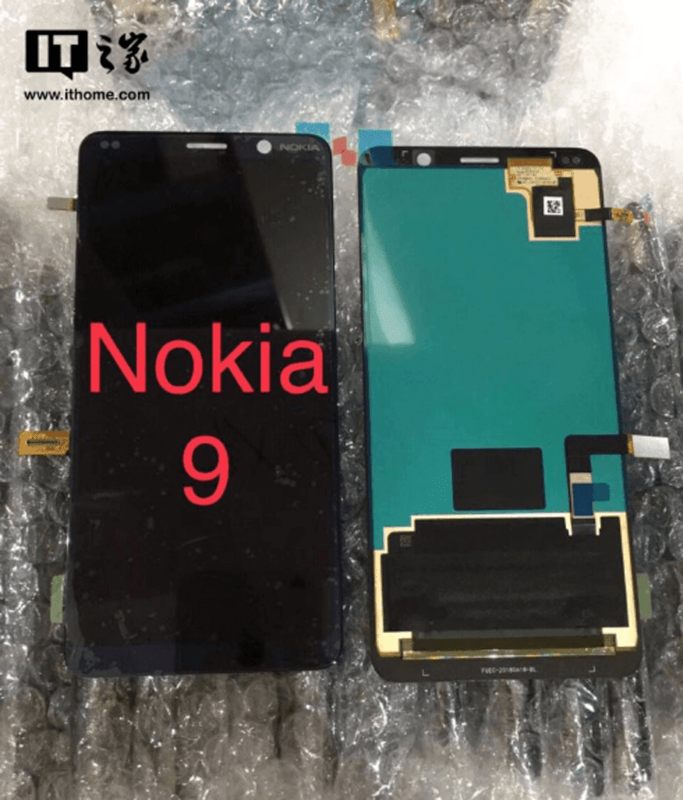 The first one shows the display panel of the alleged Nokia 9 and second assembly shows the front panel for the upcoming Nokia X7 smartphone. The first leaked image shows that the alleged Nokia 9 may feature a notch-less display design and the top bezel seems to be large enough to accommodate selfie cameras and other sensor, while side bezels are slimmer, and bottom bezel seems to be equally thick as upper bezel. The image also reveals that the device will probably have a taller display that will carry support for an aspect ratio of 18:9. Recent leak has revealed that the Nokia 9 would be powered by Snapdragon 845 chipset with 64 GB / 128 GB internal storage variants and it is speculated pack a 4,150mAh battery . 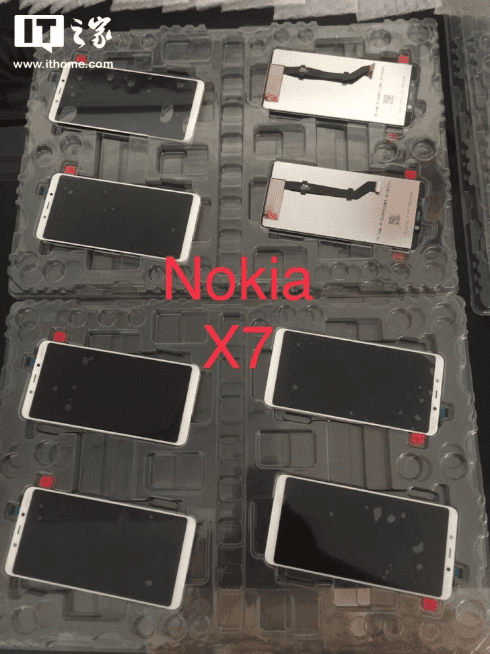 The second image is rumored to be the Nokia X7 which belongs to the X-series family. Recall early Nokia has released Nokia X5 (Nokia 5.1 Plus) and Nokia X6 (Nokia 6.1 Plus) with a notched display design and recent rumors suggested that Nokia X7 may also carry the same display design, but the new image that has surfaced today suggests that the Nokia X7 will feature a notch-less screen. However the new images shows narrow side bezels and top bezel features cutouts for earpiece, selfie camera and other sensor. Recent rumors suggest that the Nokia X7 would be powered by Snapdragon 710 and is speculated to debut in the coming month.